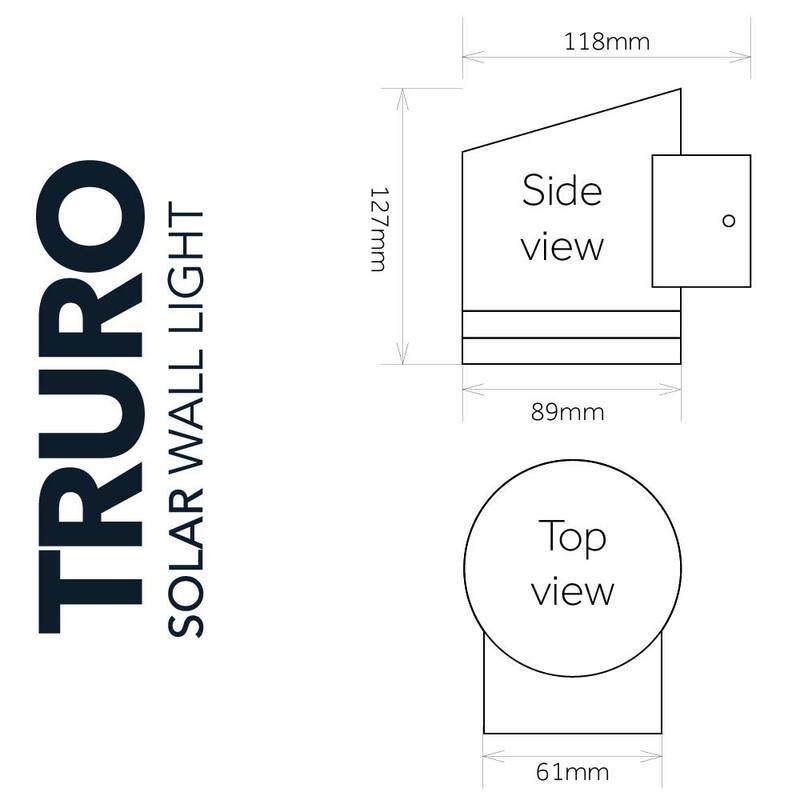 Simple is best: take a look at our Truro solar wall light and you will soon understand why. 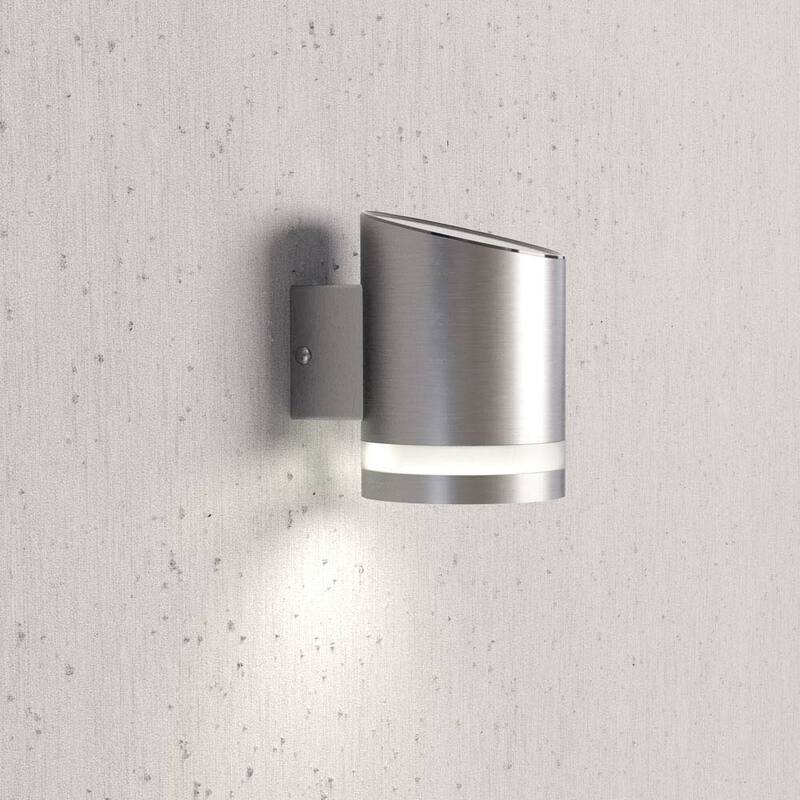 Contemporary design and flawless performance comes as standard in this wireless wall light, which gives off warm and subtle lighting without cables or mains connection. The Truro wall light has been carefully designed to absorb the maximum amount of sunlight available, and solar energy keeps this great little lamp powered up for hours on end even during the winter months. To maximise the lighting efficiency of this solar wall light, we have fitted it with a Powersaving™ mode for even longer run times. Simple design makes for an easy installation, so you can enjoy all the benefits of this solar-powered wall light pretty much out of the box. To top it off, this durable lighting fixture comes with zero running costs and a very affordable price tag - what's not to love? Powersaving™ mode to double performance in imperfect installation locations or during winter. I really like this light. Bright enough to illuminate house name. Lasts all night. On brightest setting. (mounted on south facing wall) What more can I say. Stylish Lights that give a surprising amount of light. Friends were very impressed with the results, as was I. Great looking light that gives a surprising amount of brightness. Have it fixed to a fence let lighting up my herbs!! Recommend. Great quality, stylish and easy to instal. Gives off sufficient lighting for my front porch. 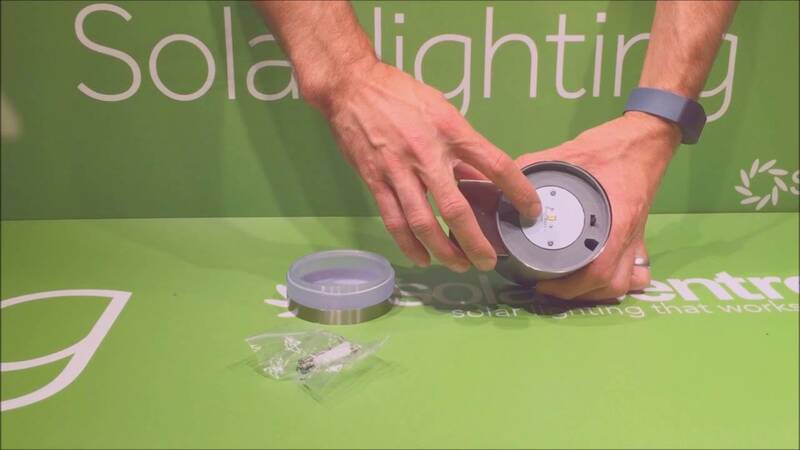 Here at SolarCentre® we enjoy creating modern and cost-effective lighting solutions that stand out from the rest. 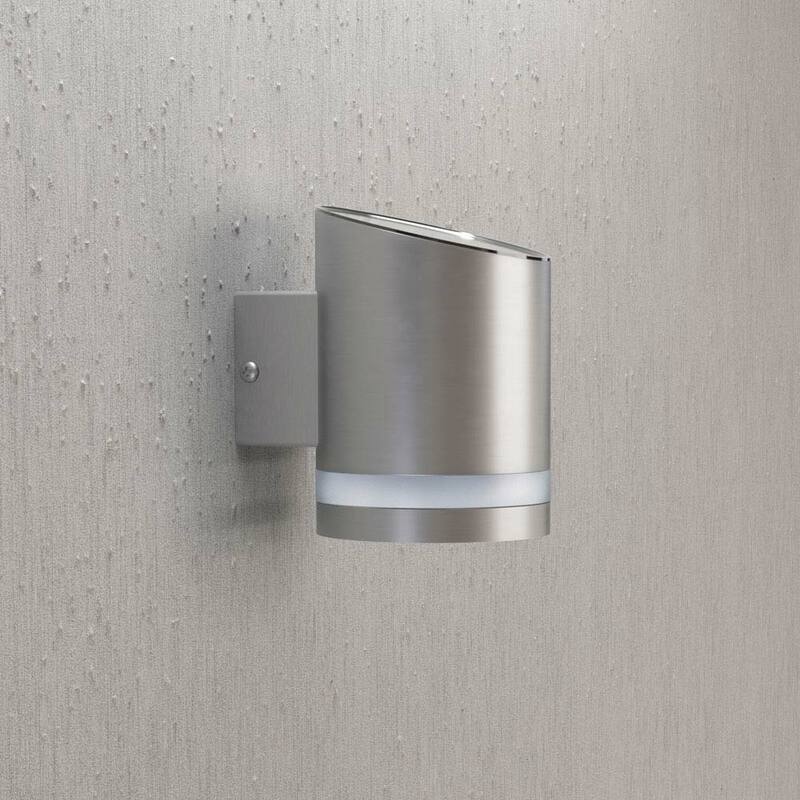 With its cutting-edge technology and modern design, the Truro wall light is a brilliant example of our business philosophy. This solar-powered wall light has been made using top-quality 201 stainless steel and has a brushed finish that gives it a polished and modern appearance. Moreover, this stylish wall light has weatherproof properties, since it has been coated with a special anti-rust and anti-corrosion treatment. In addition to its good looks and solid construction, the Truro wall light is capable of efficiently harnessing solar energy thanks to a built-in solar cell, which has been placed at an angle for optimal energy input. This wireless wall light is fully automatic, but it also offers users the option of easily controlling the brightness levels, and it can also be manually switched off when required. The Truro comes fitted with a new-generation SMD light bulb and a diffuser plate that provide soft and reliable ambient lighting. 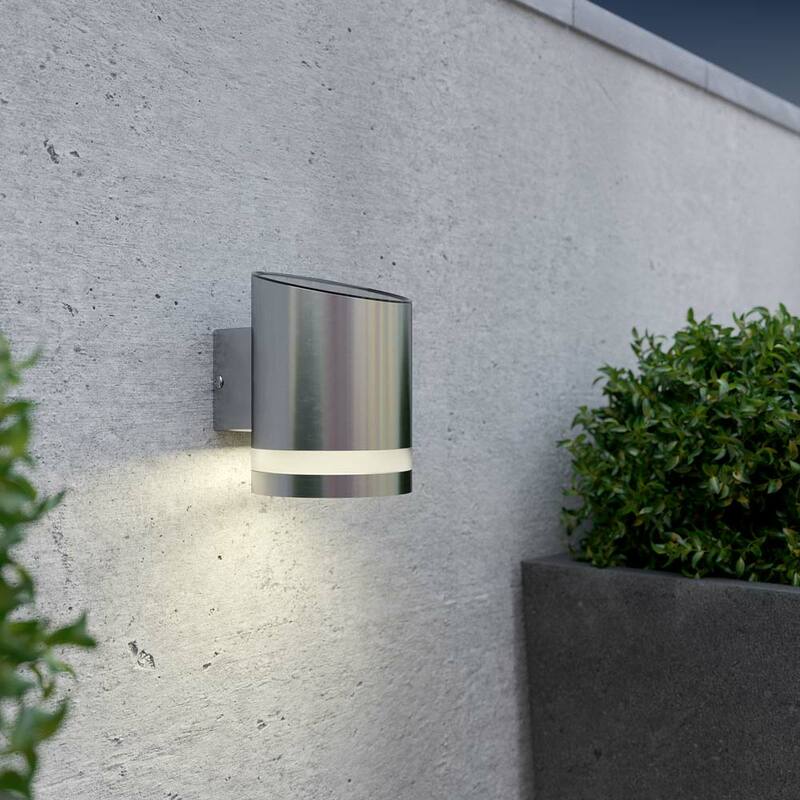 Our Truro wall light is perfectly suited for use in outdoor areas any time of the year and even under low-light conditions. A full charge will last for up to 10 hours and will subtly light up gardens, patios, decks, house numbers, corridors, garages, balconies, garden canopies, steps, fences, etc. No-fuss installation and a 12-month guarantee complete the range of benefits that come with this solar-powered wall light. If you value convenience, innovation, and attractive design, our Truro wall light will fit the bill. Hello, I canâ€™t see to find the lumen spec/led spec for this light. Please can you advise? Listed under features, the light is 40 Lumens. It's very unlikely to interfere as the lux sensor (day or night) is in the panel at the top of the light and these lights are downlighters. The only reason you could have a problem would be if the light bounced off something and back on to the top. Would the light emitted be good enough to illuminate a house name plaque? We have had customers using this light for name/numbers plaque but the light points down not inwards. You may have to move the light and/or plaque to get the best results. Spotlights are also worth considering.